PaloServices / News / Palo News Digest and Trebbble receive a Merit Award at the EBGE 2016 Awards! 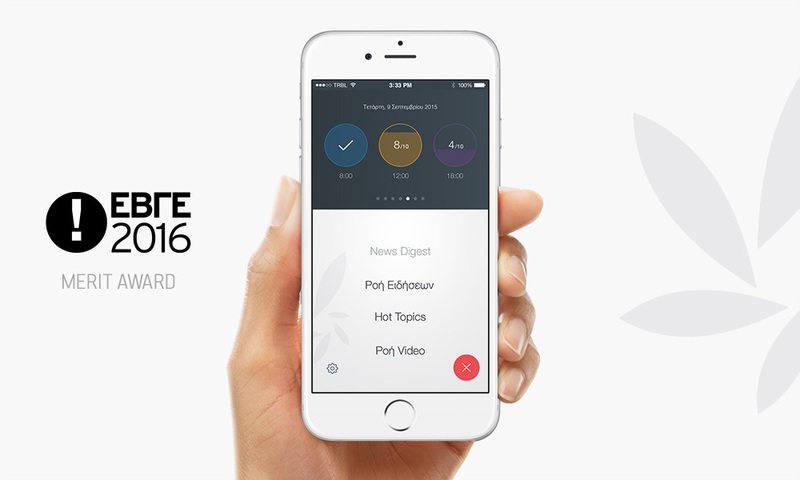 Palo News Digest, the first mobile app with news summaries from all sites and blogs, received a Merit Award at the EBGE 2016 Awards. More specifically, Trebbble, the agency which designed and developed the app, and Palo News Digest have been awarded with a Merit Award in the category “Apps for touchscreens”, as an acknowledgment of the unique, modern and functional design of the app. EBGE Awards are the most recognized design awards in Greece, are held annually by the +DESIGN Magazine and are under the auspices of the International Council of Design (ICOGRADA) and the Greek Graphic Designer Association. News overviews from 1.400 sites and 10.000 blogs appear easily, quickly, concisely at the users’ smartphones, wherever they are!